>Handrail top and mid rail height. >Height/ location of kick flaps. 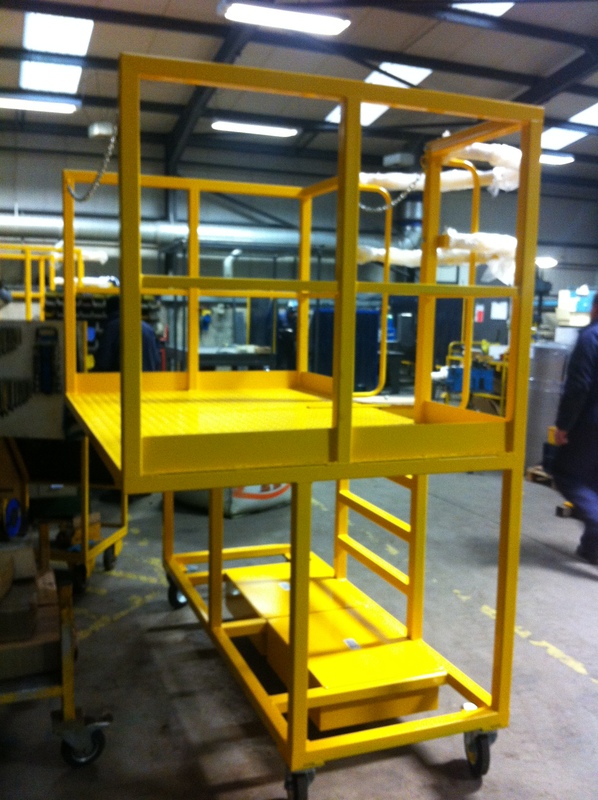 Manufacture from 50mm box section and assemble with swivel and braked castors. The castors will be fitted with 200mm rubber tyred steel centred wheels with a load rating of 200kg per castor.